SYNOPSIS: The daughter of a papermaker in a small French village in the year 1320—mute from birth and forced to shun normal society—young Auda finds solace and escape in the wonder of the written word. Believed to be cursed by those who embrace ignorance and superstition, Auda's very survival is a testament to the strength of her spirit. But this is an age of Inquisition and intolerance, when difference and defiance are punishable "sins" and new ideas are considered damnable heresy. When darkness descends upon her world, Auda—newly grown to womanhood—is forced to flee, setting off on a remarkable quest to discover love and a new sense of self . . . and to reclaim her heritage and the small glory of her father's art. What a great year 2010 has been for historical fiction writer debuts! I have really been blown away by the shear awesomeness of these first timers and know that I will be reading them for years to come....and author Vanitha Sankaran is no exception. Sankaran has painted an exquisite and beautiful tale about a mute Albino girl named Auda, who is the daughter of a papermaker living in Narbonne, France in the 14th century. Born during a time of religious persecution and intense superstition, Auda’s affliction causes her to be a target and she has to be extremely cautious when leaving her house or risk being called a witch and handed over to the Inquisition. My knowledge of watermarks and the paper making process itself were very limited prior to reading Watermark and it was fascinating to me to read about the history and the way it was made back then. One thing that I thought was very interesting was that watermarks were sometimes used by heretics as a means of conveying secret messages. I felt like I really learned a lot from reading this book and for me that is always a plus and one of the main reasons why I read historical fiction. Auda is an extremely likeable character, with her passion for the written word that any reader can relate to. She has spirit, bravery and fortitude and is inspiring to read about – all good qualities for an awesome heroine in my book! Watermark is a strong, solid debut from an emerging new talent and I HIGHLY recommend it! FTC: Many thanks to the author for sending me a copy to review. I loved this book a lot too and also found the paper making information to be fascinating. Great review, glad you loved it!! Thanks Zibilee...it was such a fantastic read!! Glad you liked it also! aLmYbNeNr....that's fantastic! I hope you enjoy it! I have read many strong reviews of this book. I have been thinking that I would probably enjoy this book. After reading your review I know that I need to get it somehow! Thanks for the review. I have heard so many good things about this book. I can't wait to read it. thanks for another good review. Superb review! 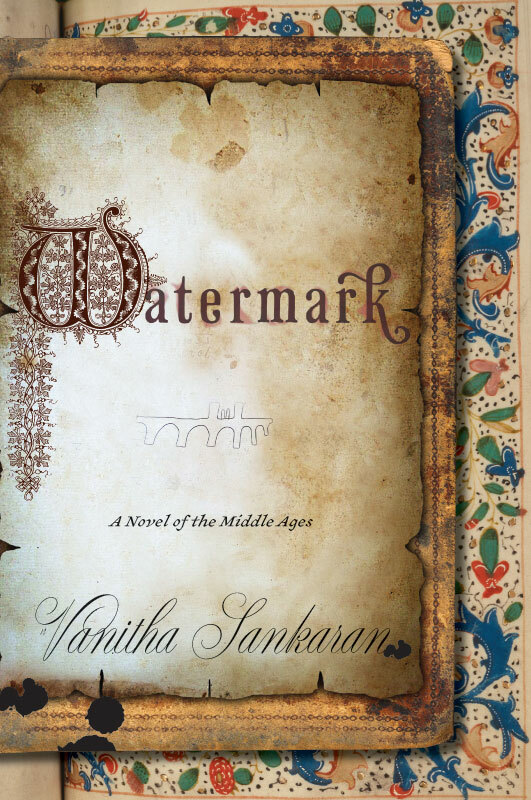 Watermark sounds like a really good read! I'm surprised I haven't heard of it before! I read the first chapter of this online and was blown away by the writing. And that was just the first chapter. I can't wait to read it. I'm so glad you enjoyed this one! Do you mind if I include a link to it in the South Asian Review Database? I liked this novel -- but I thought the ending was a little rushed -- would have liked it to have 2 or 3 more chapters but, otherwise, a good read. Just grabbed it from the library, so your review just makes me even more excited! Wow. This sounds like something I would just love. Now to track it down.